1. 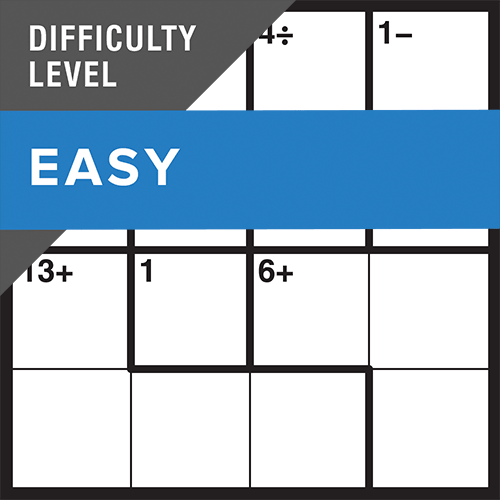 Fill in the numbers without repeating a number in any row or column. 2. 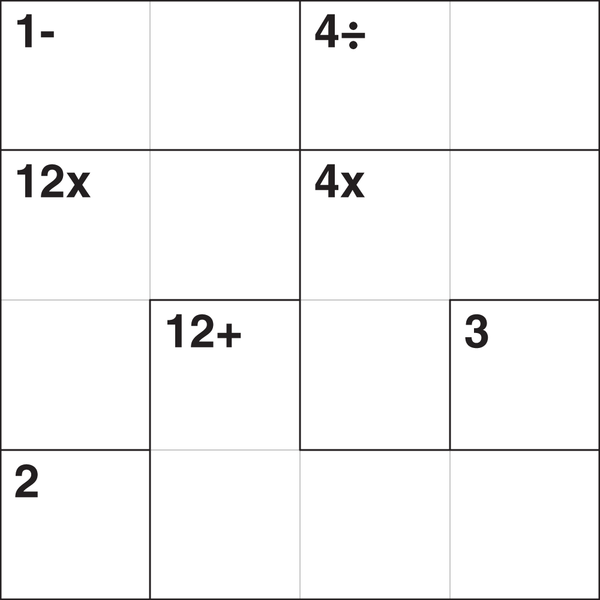 For a 4 x 4 puzzle use the numbers 1-4.
in the top corner using the arithmetic sign indicated. 5. Cages with just one square can be filled in straight away with the target number in the top corner. 6. A number may be repeated in a cage, but not in a row or column.